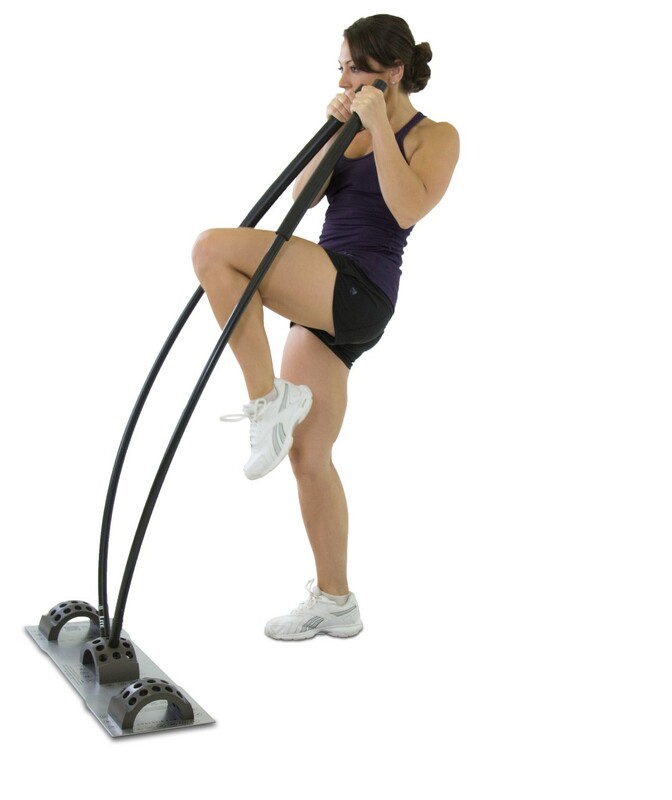 Core Stix is one of the most effective functional fitness systems on the market! 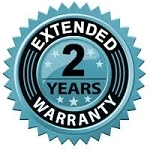 The Core Stix Floor Mount System is based on a nearly decade long foundation of research, development, and manufacturing of high quality Core Stix fitness and therapy products! Perform a wide range of strength, balance, functional, athletic performance, & flexibility routines for a wide range of your users on one system. Perform exercises and set up circuits 360° around each Floor Mount System. One Core Stix Floor Mount System with 3 Arcs. 5 Foot Long Stix: One pair each of X-Lite, Lite, Medium, Heavy & X-Heavy Stix. One Floor Standing Stix Stand. Mounting Plate height: 0.375 in. 54 different support holes for wide ranging adjustability and adaptability. Please email us at info@corestix.com for information regarding the installation of the FMS. 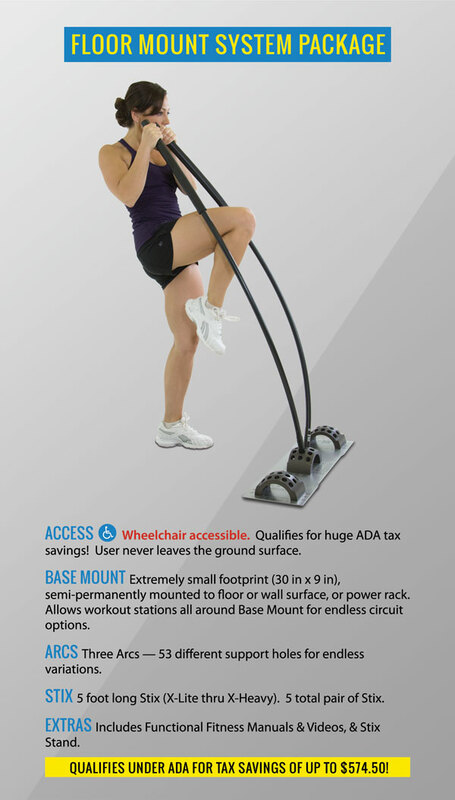 Core Stix Floor Mount System Fitness Package qualifies under the IRS Section 44 for a tax credit for eligible small businesses of $574.50 for every Core Stix Floor Mount System Package purchased – up to $5,000 total. For example, if your tax liability at the end of 2015 is $2,000 and you are eligible for the $574.50 IRS Section 44 tax credit, your resulting tax liability would be $1,425.50. That is $574.50 back in your pocket!